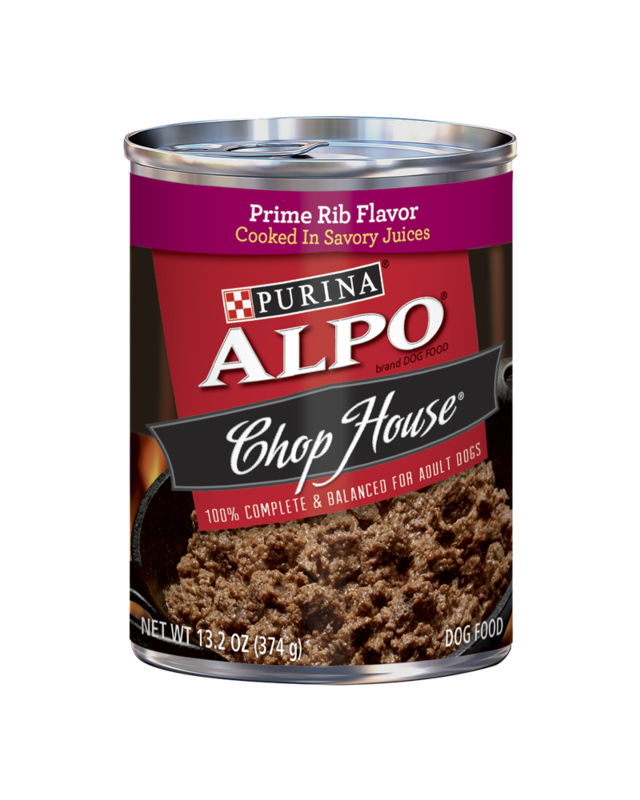 You can trust ALPO dry dog foods and wet dog foods to deliver real quality and real nutrition in every bowl. 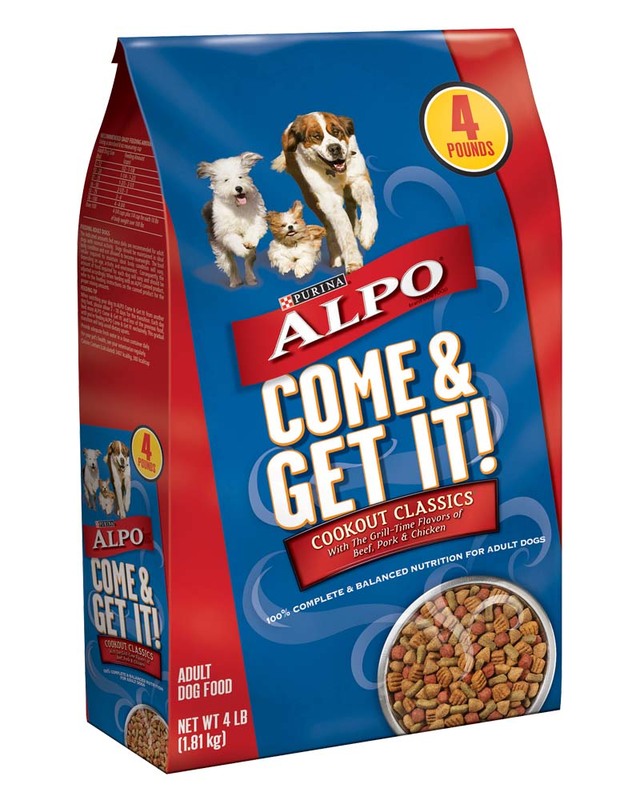 ALPO delivers the taste dogs love and the nutrition dogs need for each life stage. Enjoy serving your dog what he loves with a wide variety of more than twenty different savory wet meals including Prime Classics® With Beef In Gravy, Gravy Cravers™ With Chicken in Gravy, Prime Cuts® With Lamb & Rice and With Chicken & Wholesome Veggie Accents, Chop House Filet Mignon Flavor and Chop House® Rotisserie Chicken Flavor in Gourmet Gravy, to name a few. 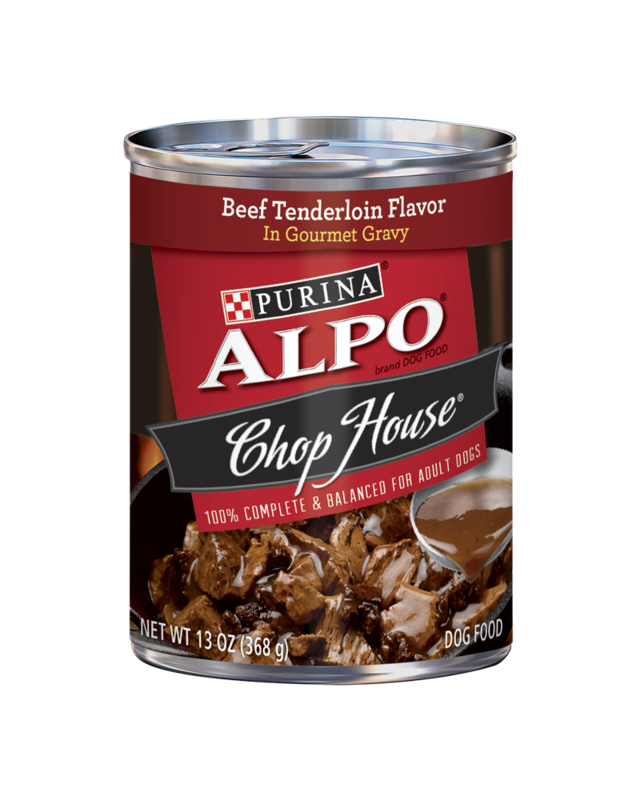 Made with real beef, this moist and tender mixer is a perfect no-mess way to add mouthwatering porterhouse and prime rib flavors to your dog’s daily meals. In addition to its 100% complete and balanced nutrition for adult dogs, ALPO Meal Helpers also comes in convenient individual pouches that make it easy to mix into dry kibble or serve by itself. Our dry meals deliver great tastes including Come & Get It!® Cookout Classics™ and Prime Cuts® Savory Beef Flavor. ALPO Variety Snaps® treats make pleasing your dog a snap, with real beef, chicken, liver and lamb flavors. Every crunchy bite cleans teeth and freshens breath. Look for it in two sizes: Little Bites and Big Bites. ALPO® Wholesome Biscuits are made with a perfect balance of wholesome ingredients and savory chicken flavor for everyday excitement. 100% Complete and Balanced with 23 vitamins and minerals, ALPO® Wholesome Biscuits are available in Small, Medium and Large sizes. There’s no telling what your dog would do for the taste of steak. 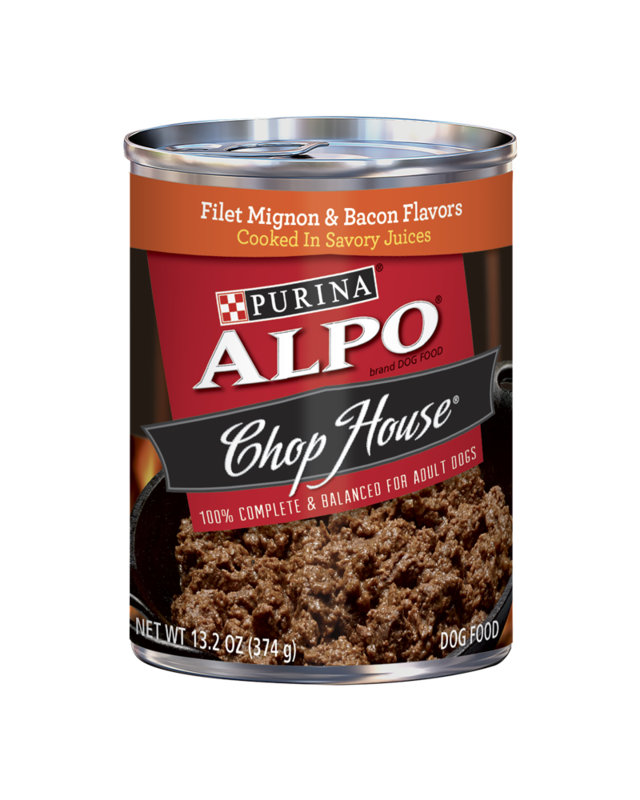 Open a can of ALPO Chop House, and you’ll find out! Our Filet Mignon & Bacon Flavors Cooked in Savory Juices give your dog a delicious meaty pairing of steakhouse-inspired flavors that will be hard for him to resist. You know what’s great? The taste of steak! And your dog would surely agree. With Chop House Prime Rib Flavor Cooked in Savory Juices, your dog gets steak-inspired flavor (not to mention total excitement) with every tender bite. And he doesn’t even have to step a foot (or paw) inside a steakhouse to get it. If your dog could get his paws on a delicious roasted chicken and juicy steak, he surely would. 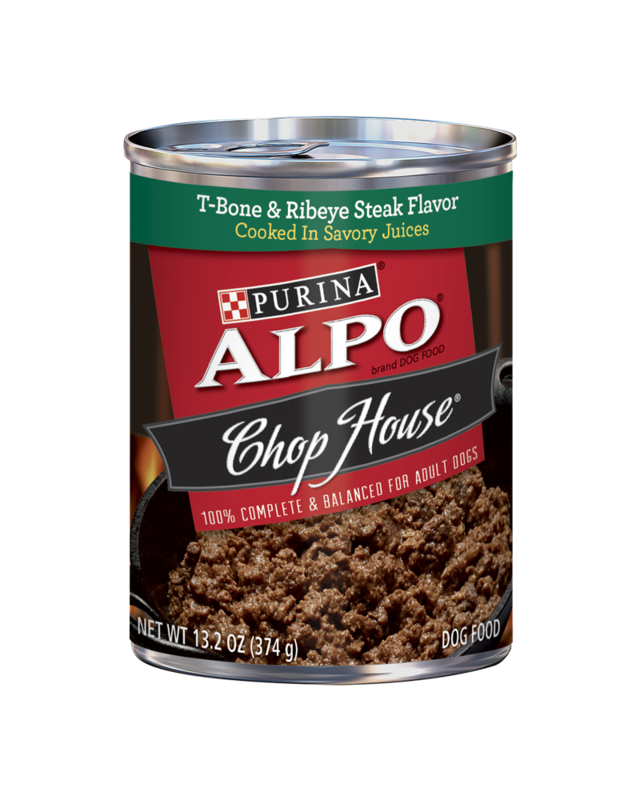 That’s why steakhouse-inspired flavor is packed into every can of ALPO® Chop House. 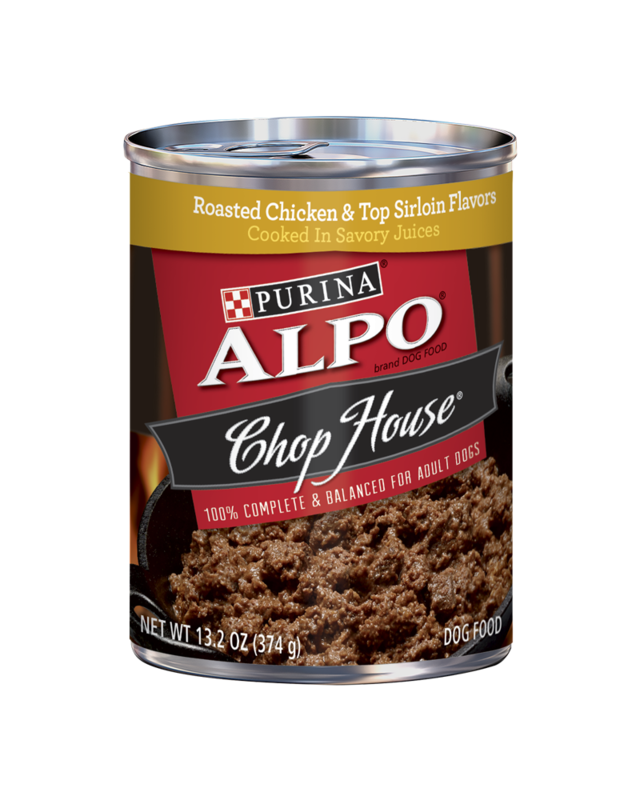 This canned dog food features two mouthwatering flavors – Roasted Chicken & Top Sirloin, and is cooked to perfection in savory juices your dog will lick until the bowl is clean. Chicken! Did someone smell real chicken?!?! You can bet your dog will come running the moment you open up a can of our Rotisserie Chicken Flavor in Gourmet Gravy. The second that he sinks his teeth into one of the tender chunks with chicken and bathes his tongue in the rich and savory gravy he’ll be hooked. Mmmm… the smell of T-bone steak is something your dog can’t resist. Once he bites into one of these tender meaty chunks, the T-bone steak flavor and savory gravy he’ll experience is sure to set off all of his tail-wagging engines! 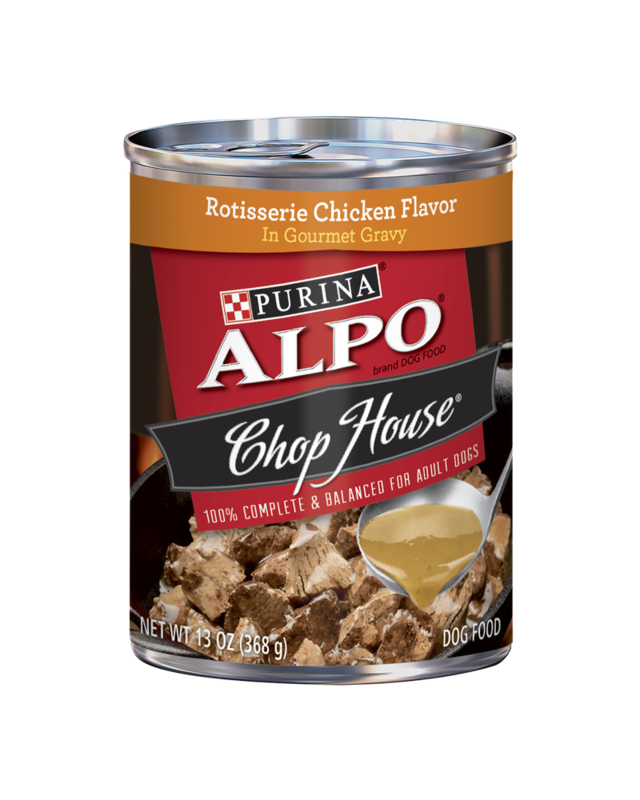 Bring all of the satisfying flavors of the backyard grill right to your dog’s bowl with ALPO® Come & Get It! ® Cookout Classics®. This dog-approved, dry formula features a fun mix of mouthwatering flavors — including beef, pork, chicken and veggie — that is sure to have your best friend sprinting to his bowl to savor every single bite. 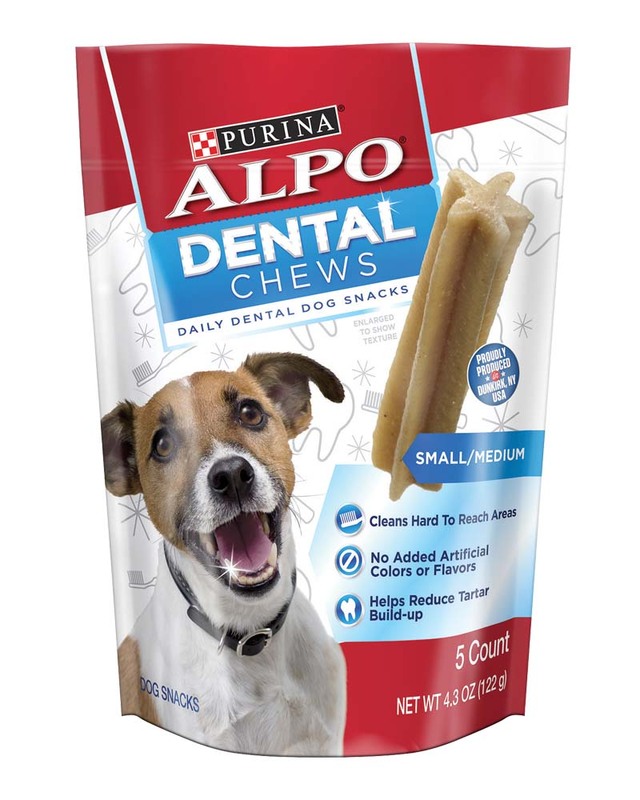 Take care of his canine chompers with a dental treat that cleans his teeth and freshen his breath.